(German / English) That quote is what gives people today palpitations: turbocharging has as of 2016 become pretty much mandatory in the hi-po world as the most easily achieved means of curbing emissions without sacrificing performance and, let’s face it, day-to-day convenience. 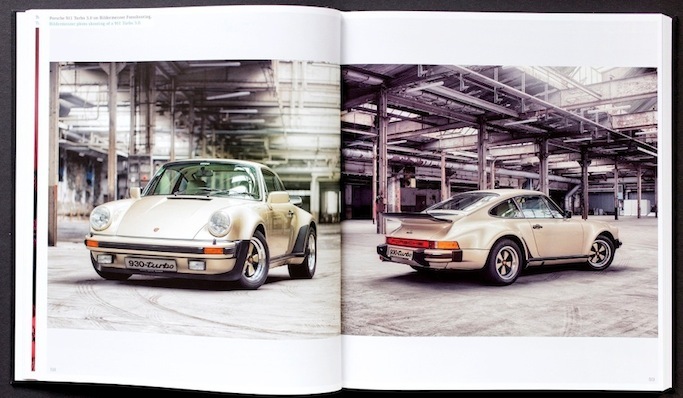 Introduced on the firm’s Can Am race cars in 1971, both Porsche management and customers could see that such a powerplant would be a hit in the consumer market too. 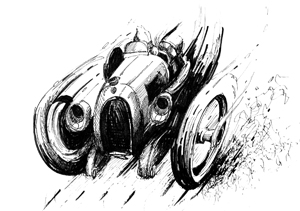 Except, events in the larger world—from an oil crises dragging on to “car-free” Sundays in Germany—put a dent in that plan, so much so that Porsche folk began to think of the supercar they were now committed to as “the wrong car at the wrong time” and a career-ending sales disaster. 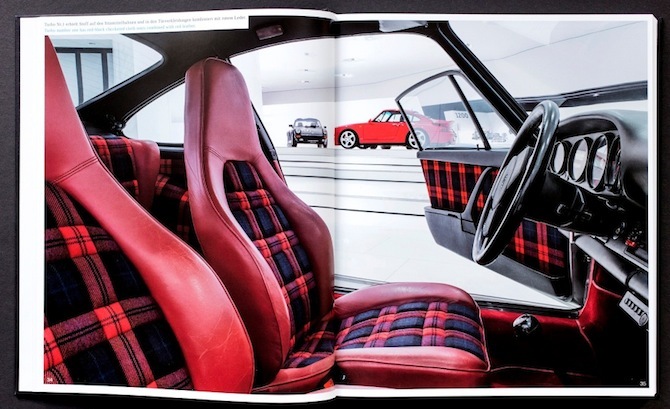 Instead, the car flew off the showroom floors, the sky did not fall, and today the “original” Turbo (all current 911s are turbos even if only the top of the line cars are so badged) commands eye-watering prices. First things first: this book was originally published in 2012 but is now 70 pages longer and almost twice as expensive but most of the extra pages go to the one feature that justifies a good deal of the price increase: more tabular/statistical material compiled by Turbo expert (especially on the tangled story of the 1984–94 factory-made “Turbo-Look” Supersport SSE [or TLU or Widebody]) Norbert Franz and authenticated by Porsche. 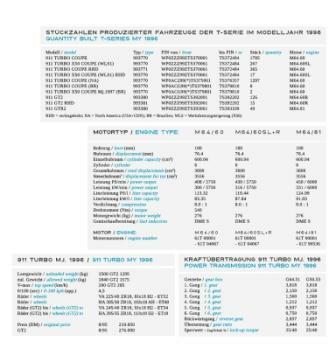 This now offers exact production numbers by year and, a first in the literature, all VINs of the Turbo WLS cars. 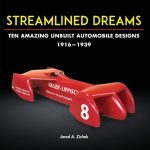 “Surely you have noticed quickly that almost all information regarding the numbers of pieces in this book differ from the hitherto existing publications, regardless of the authors’ or the books’ reputation” begins the last page, on which Franz lays out his methodology. 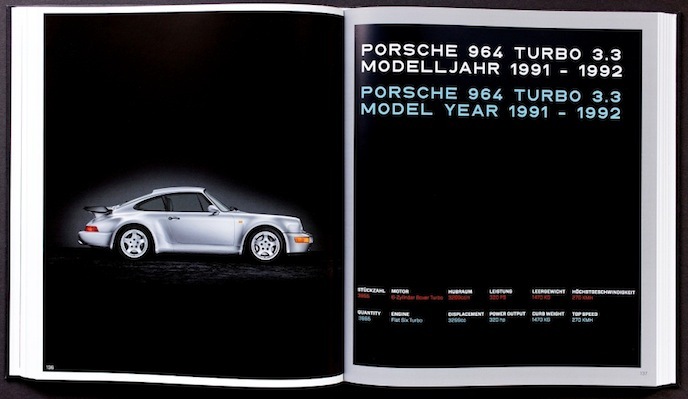 Other goodies (although not new to this edition) include coverage of various special series such as the small run of 930 Turbo S cars for French distributor Sonauto, the 964 and 993 Turbo Cabriolets, and the 911 Turbo “package cars” from 1994 that will surely be news to all but the most diehard 911 fans. 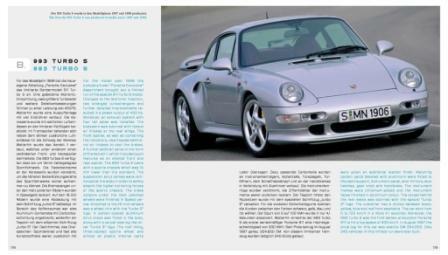 After first examining the pre-Porsche history of exhaust gas turbocharging, the following chapter details Porsche’s affinity for this type of propulsion, and then presents the various models in chronological order augmented by copious quotes from period journals and excerpts from/reproductions of sales brochures, equipment lists, and pricing charts and the like. 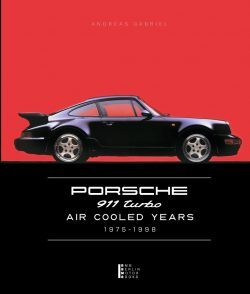 From the 1973 prototype to the last air-cooled 993s in 1998, and including different markets and all variants, the book covers ground that is undeniably well trodden but, thanks to the expanded data sets in this second edition, it meaningfully expands the envelope even when considered in conjunction with the two epic 911 books published the same year (2015) by Konradsheim and Snodgrass. It is also now a numbered limited edition—of 2015, which means there are at least three more books to be had than if the 2012 edition were the only one. 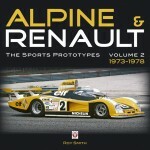 Not least, the book is also supremely well produced in regards to layout and design, and photo reproduction and selection. Both languages are set side by side, also in tables, German in black and English in cyan. The photos are often large and some new to the record. Photo captions are brief but specific. (Although, admittedly, the non-expert will have to trust that the authors got the model years always right because it is well nigh impossible for ordinary mortals to tell based on external features or trim options. That said, they appear to be identical in both editions so, surely, if errors had been brought to the authors’ attention they would have/ought to have fixed them this time around). 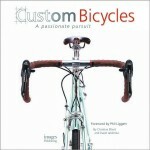 The book has no Index which even the quite specific Table of Contents cannot really compensate for. The translation is mostly very fluid and only occasionally lands on an unconventional word (cf. tarpaulin instead of tonneau [cover]). 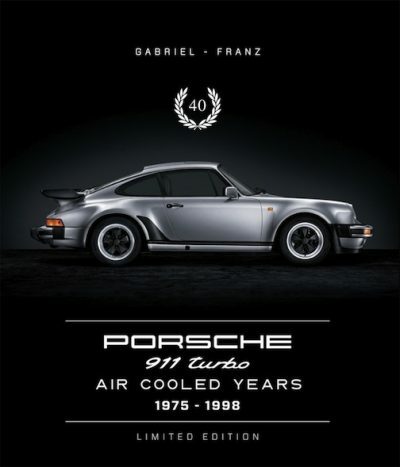 Since setting up his own publishing house in 2011, this is Gabriel’s second of now three Porsche books (the others are about the Speedster, which is to be reissued in an expanded bilingual version, and Cayenne). All things considered, especially in view of the not inconsiderable cost and the sheer quantity of the existing literature, this one should count among the handful of top-tier books. Thank you very much for the very detailed review, Sabu Advani!